Allow me to introduce myself. I'm Doc, and I'm the new pastor here at Marengo United Methodist. And I'm so excited to be here! I got here March 1, and then right away it was Easter, so now I'm feeling like I can lay back and get into the groove of our life here in Marengo. One of those things is writing this blog which I intend to do from time to time, and I'd love to hear from you in the comments section. About me. I'm 52, and I've been doing ministry for over 25 years. I have two children in college (gulp). My most recent appointment was at Good Samaritan in Addison. I live alone. I was named after my grandfathers, both of whom had the nickname Doc. So my first and middle names, Howard James, were their first names...that they rarely used, because everyone called them Doc. One was a farmer, and one was a doctor. My parents thought it was just so danged adorable that their dads both went by Doc that if they ever had a son they'd call him Doc, too. So that's how I got my name. You may call me Doc or Pastor Doc if you prefer. I love music, I play the drums in a rock band, I'm getting into exercise more, I binge watch TV shows (currently working on "The Americans," and I grew up as a Star Wars kid. I also love to dance, but I'm not very good at it. And I enjoy reading. My favorite beverage is iced coffee, but I still drink too much pop. My hope for the Marengo Church is to continue leading this wonderful church into God's mission for us. I want for you to know how much God loves you. God's absolutely crazy about you! And, as we follow Jesus and grow closer to God, we become more like Jesus. Our lives are transformed. As transformed people of God, we help bring about Jesus' dream of the Kingdom of God where grace and justice abound and people find hope and new life. I firmly believe Jesus intended for the Kingdom of God to be a here and now reality in this life. I think I'm pretty playful and silly and I love to laugh. I don't get why Christians sometimes take ourselves so seriously. This life is a gift, and following Jesus is a joy! So I like to have fun. I'd love to see our congregation playing together more. 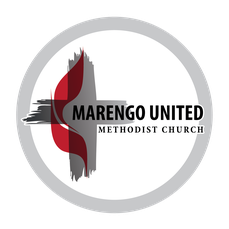 I look forward to getting to know you here at Marengo United Methodist. And if you need me, please don't hesitate to call. My office number is 815.568.7162 (press 2 at the prompt). I love the blog. I love most of all that I attend Marengo United Methodist Church and get to hear your sermons. 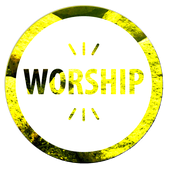 Your sermons are awesome---everyone should experience your sermons! I am happy to know you ans enjoy your sense of humor. Hello to all, how is the whole thing, I think every one is getting more from this web page, and your views are good for new users. Thankfulness to my father who stated to me concerning this weblog, this webpage is really remarkable.